- The freeway Deacon wants you to travel is kept under watch by a small blockade manned by Gunners, along with a single Turret. You’ll probably see the structure in the middle of the road long before you see any of the Gunners. 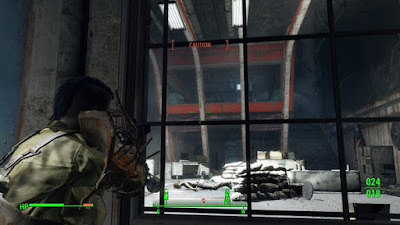 There are more Gunners than you might think by looking at the blockade, and though you can take them out, you don’t need to, as Deacon is hanging out under the highway. Slip through the woods to the left of the blockade to avoid trouble. - Deacon’s waiting ‘in disguise’, and after some conversation he’ll invite you to follow him. The trip along the roadway will take you through some rusted-out junkers inhabited by Feral Ghouls. You can one-shot most of them, but be ready for them to leap out of nearby vehicles. There are some items to be found if you investigate the larger vehicles, as well (trucks and buses). - Deacon’s contact, Ricky Dalton, is a touchy dude. He’ll provide details of the mission to come. Once the conversation’s over, you can speak to Ricky again and ask for further assistance, though you need to be persuasive to sway him. Asking for supplies is easy; asking for sniper support is trickier; asking for a distraction is downright tough. Unless you’re really charismatic, stick with something simple. This approach is less dangerous than it sounds, but it’s still risky. 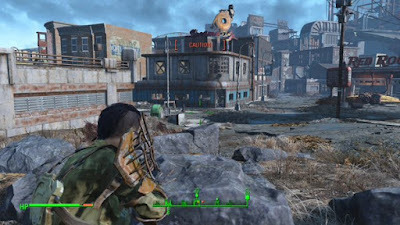 Slocum’s Joe is one of the first buildings you’ll see on the edges of Lexington if you approach from the northeast hills, and there’s a convergence of roads out front that’s absolutely painted in Frag Mines. Throw in a number of Synths with laser weapons and three Turrets (one on the second floor, two on the first) and you’ve got a tough nut to crack. Close-ranged fighters will find running right up absolutely suicidal, so stick back on the edge of the road and snipe the Snyths as they come out of the store. Shooting even one of the Mines should destroy the majority of the minefield, and probably wipe out a few Synths in the process. Take out the Turrets to complete the process. Slocum’s Joe doesn’t have a whole lot to it once you get inside, and if you check the basement you’ll find that the elevator you wanted to use has been disabled anyway. Gotta go in the back. Oh well, at least you tried. - Either way, you’ll end up going through here. The Escape Tunnel is located just west of Slocum’s Joe, on the edge of train tracks. You can get in by going through a drainage pipe that’s covered by thick vegetation. This opens into a Sewer. - Once inside Deacon will start talking about the mission. Chat with him a bit, then wait for him to pop open a nearby security door. Beyond is a slope on your right; look along it for bodies and destroyed Turrets to scrounge. 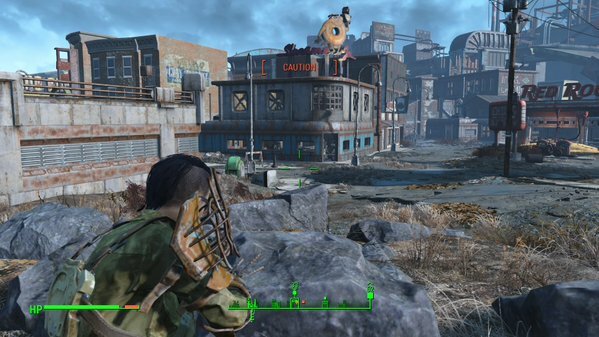 There’s a Synth and a Radroach to kill at the bottom. - The tunnel on your left leads to a catwalk with more destroyed Turrets and a terminal. You can use the terminal to deactivate the spotlights and two remaining Turrets elsewhere. Four more Synths wait down the stone stairs near the catwalk, along with more remains to loot. - Keep going and you’ll find another terminal. You can use it to activate an inactive Turret ahead and catch some Synths around the corner unawares. The Turret won’t last long at all, but the distraction will pull the Synths out into the open. A firefight is sure to follow. and the former HQ of the Railroad. - Check the side rooms for items - the only one of real note is a Fusion Core in the room on the left - then head up the stairs to the control room. There are two Expert terminals in here you can crack, if you want. (I was too dumb. Sigh.) Check the desk near the windows for a U.S. Covert Operations Manual. - Head through the hallway off of the room with the barricaded Synths. A Synth will be patrolling here if you didn’t blow it up earlier. Also here is an intersection. If you go through the door to the right of the intersection you’ll find a research room. There are two terminals in here. The Novice wall terminal pops open two security doors in the room that contain… nothing of importance. The desk terminal contains a bunch of pertinent research notes, but nothing of practical importance. Straight ahead is the exit, guarded by several Synths. Once you’ve disposed of the robots you’ll find a terminal that will power up the elevator. The elevator leads back to Slocum’s Joe’s basement. You can also use this computer to deactivate more Turrets. 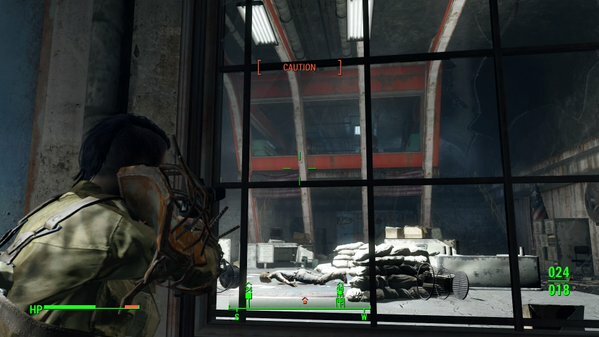 Also in this room is an Advanced security gate, and inside is a Fusion Core and some other odds and ends. - Head up the elevator once you’ve nabbed the Prototype. If you tried to come in the front way before, you’ll find Slocum’s Joe still cleared. If not you’ll have to fight your way out, which is much easier to do from this angle than from outside. Deacon will part ways with you once the coast is clear. - Return to Old North Church and find Deacon in the catacombs, where you met the Railroad last time. Speak to Desdemona about the operation and she’ll offer to let you join the Railroad. If you want to continue on these missions, accept. You’ll receive a fancy nickname, get your experience reward, and earn the next quest: Boston After Dark.